Amin Maredia, formerly the CEO of Sprouts Farmers Market (SFM), was a valuable member of the natural grocer’s management team over the last few years. How valuable? Well, his services are apparently worth $600 million. Because that’s how much market value SFM stock lost on Friday after Maredia suddenly resigned. While the market was giving SFM a 15% haircut, three Sprouts corporate insiders, including the former co-founder and current CFO, stepped in and bought $2.37 million of stock at an average price of $22.86. It appears the insiders disagree with SFM’s new valuation, and view the stock as a bargain. Among the buyers was current CFO Bradley Lukow, who bought 10,000 shares at $23.09. Lukow will become Sprout’s interim co-CEO on Jan. 1, while the board searches for Maredia’s replacement. Shon A. Boney, co-founder of Sprouts and board member since 2002, bought 88,500 shares at $22.83, spending over $2 million. Boney increased his holdings by 1570%, from 5,638 to 94,138. The press release issued by Sprouts didn’t offer detail on why Maredia is leaving. It seems unlikely that Maredia’s departure was performance related — the company has been growing rapidly despite lots of competition, including Amazon’s (AMZN) recently acquired Whole Foods Market. Sprouts posted solid third-quarter results. For the period ended Sept. 30, revenue rose 10.2% to $1.33 billion, and same-store sales grew 1.5% year over year. Two-year comparable-store sales were up 6.1%. Reported earnings per share of 29 cents beat Wall Street’s consensus forecast of 26 cents. 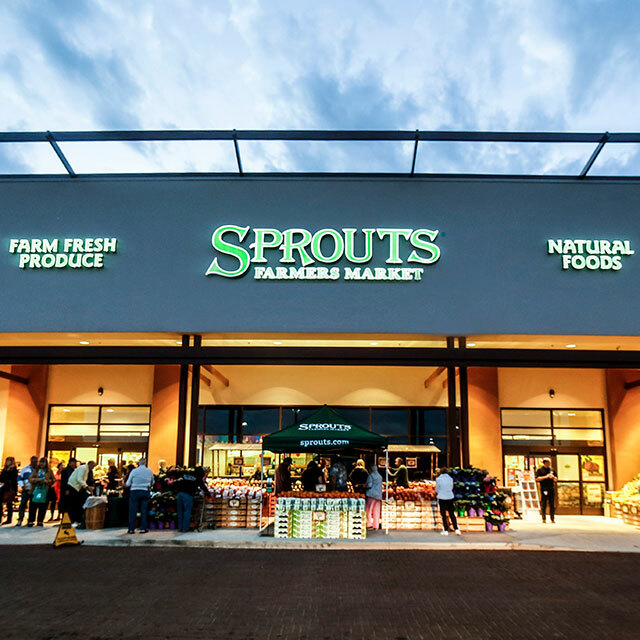 Sprouts is planning to continue expansion in 2019. Last month, the grocer said it intends to open seven new stores in the first quarter of 2019, and a total of 30 new locations for the full year. Obviously in the case of Sprouts Farmer’s Market, the market has adopted Cramer’s “shoot first, ask questions later” approach to CEO resignations. 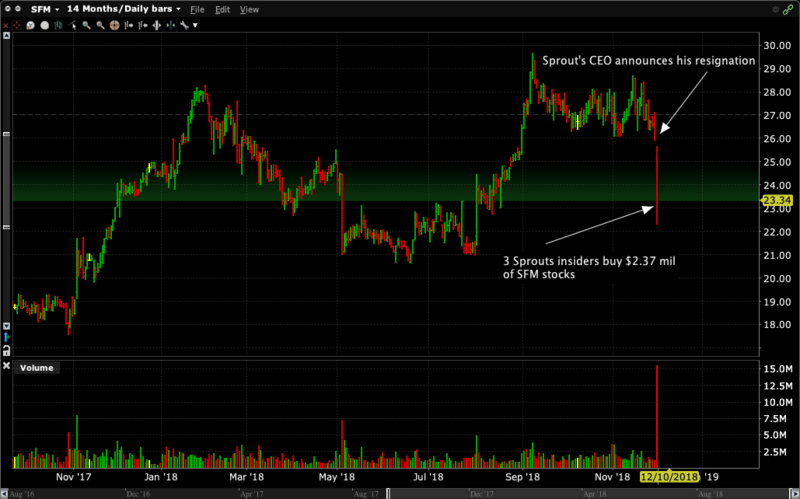 The question then is this: Does Sprouts CEO’s sudden resignation imply there’s “something rotten in Denmark,” and the company’s price has further to fall, or did the market just overreact big-time, putting Sprouts shares on sale by 15%? Who do you listen to, Jim Cramer who advises “sell, sell, sell” when a CEO suddenly quits, or Sprouts insiders who invested $2.37 million in their own shares, suggesting investors should “buy, buy, buy”?